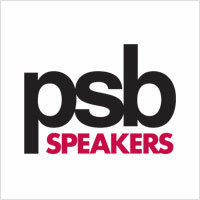 Canadian brand Paul & Sue Barton (PSB) is a well admired, although little-known outside the realm of audiophilia, brand that was founded in 1972; the same year that one of their competitors Polk was formed. From modest origins, the company has grown to be a big name in Canadian manufacturing, with nearly 50 distributors and over a thousand dealers and retailers across the world. The company is committed to giving its customers a wide range of solutions for home and office audio at a premium price for excellent quality. However, they do not charge a morbidly high sum for a home speaker solution, and have a range of solutions that fit your expectation and pocket perfectly. The company has four attributes to benchmark their own products: Performance, Appearance, Value and Reliability. The company evaluates its loudspeakers in an anechoic chamber and compares the listening preferences of people across rooms with their psychoacoustics research base. Endurance tests are a common factor across the line of PSB’s audio equipment. Home audiophiles will love the sheer amount of choices the company offers Synchrony, Imagine, Image and Alpha in-room speakers, in-wall/in-cabinet speakers as well as in-ceiling speakers that are custom made for your house. PSB was created much before its registration in 1972. Paul Barton used to design and manufacture loudspeaker kits for university students near his home from his father’s tiny workshop. Paul Barton was very musically inclined as a kid in the 1960s. He picked up the violin at an early age and developed an ear for good music and good reproduction. His prowess in the area of mechanical and sound engineering also developed quite early on thanks to his father; he picked up the knack for manufacturing from his father who built a violin for him in his workshop. The story goes that he and his father experimented with loudspeaker designs to build the perfect sounding one that would recreate sounds very well and not put a huge dent in their budget. By the time he was in high school, Paul was selling hi-fi speakers of his own from a little shop near the University of Waterloo. He met his wife, Sue, in the 11th grade Geography class where he also designed the PSB logo. The company is now based in Ontario, Canada and has a huge array of speaker systems to choose from. The PSB M4U 2 headphones with the RoomFeel™ technology is one of the premier offerings from PSB in the area of active noise cancelling headphones. 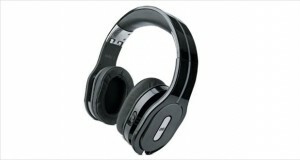 Marrying the private audio of headphones with the thumping boom of hi-fi speakers, these are excellently premium headphones that do not have much competition around the world. With a run time of 55 hours with ANC turned on, these are excellent headphones for the jet setting executive who wants some peace on his or her transatlantic flight. With ergonomically comfortable design and a sleek, classy appearance, these are excellent sounding headphones with a clarity that is seen only in the audiophile class headphones.